I never thought that someone with my background would really be an asset to an organization such as the NhRP, but this is an organization built on passion. If you are passionate about the cause, then you are an asset. 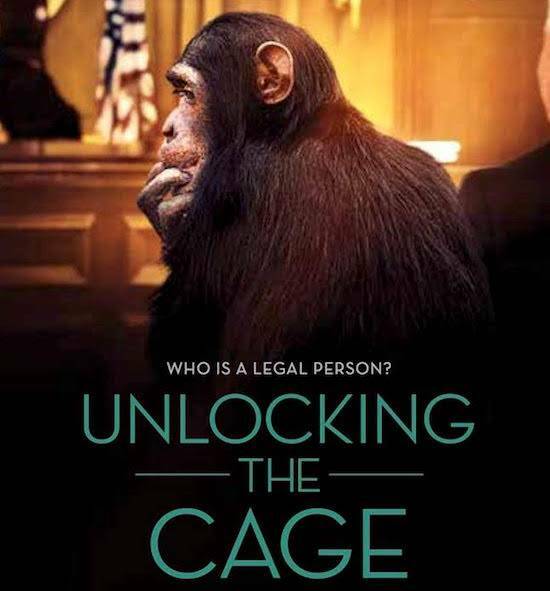 Unlocking the Cage may be coming to a theater near you! For more info on the film, including screening dates and locations, visit the official Unlocking the Cage website. A few months ago, I was just a moviegoer headed to the Sundance Film Festival. It was my first time, and I was naively planning on seeing every movie possible, with no lines. While my initial plan of being the only person on record to see every single movie at Sundance didn’t work out, I left the festival with something much bigger. The film festival brought me to Unlocking the Cage. I managed to score two tickets to the film, and much like the other films I saw, I wasn’t sure what to expect. Throughout the film I found myself getting very emotional, to the point where I looked around to see if I was the only one. I was waxing philosophical for the entire film, asking myself why I was so moved. It is true that Chris Hegedus and DA Pennebaker really know how to capture an audience, but it was more than that for me. While I have always been an animal lover, the film really brought to light so many other feelings about their rights. The conditions that the chimpanzees depicted in the film are subject to—made possible by their complete lack of rights—really stuck with me. The NhRP is the first organization to demand actual legal rights for self-aware, autonomous nonhuman animals. That mission sounds so simple, yet the process is so complex. The NhRP fights so hard throughout the film to plead their case on behalf of these animals. Everyone in this film is so passionate about this fight, even though at times it seems like a losing battle. After the film, I couldn’t stop talking about it to whoever would listen. I wanted to be a part of the NhRP. I needed to be involved, whether on a small or large scale. I was hoping that I could fit in somehow and in some way help make the journey to the recognition of nonhuman rights a bit easier, and learn something in the process. Let me give you some context here: I live in New York and have a moderately demanding job as a Recruiting Manager for a luxury fashion house. Do I feel 100% fulfilled? Sometimes. I realize that no job will ever reward you 100% of the time; however, I am clearly seeking some further purpose in my life. After watching the film I felt like the work that Steven Wise and his team are doing is so important and rewarding that they’ve been a gateway to me finding a passion. I got back from Sundance and reached out to NhRP, expressing my support and asking to help. I wasn’t sure what to say, or if they would even get back to me. I really put myself out there in a way that I hoped would set me apart from others. A few days later I received an email back from Kevin Schneider, the Executive Director of the NhRP. I discovered that, given my background as a Recruiter, there are actually several ways that I can help drive this mission. For example, a great deal of my job is spent engaging potential candidates on LinkedIn. Who would have thought that this skillset would allow me to help with something bigger that the NhRP is trying to do, which is to increase social engagement on all levels. By taking the lead on the ramping up of the NhRP’s LinkedIn engagement, I hope to be able to bring a whole new audience to the mix, thus building more awareness of and support for the mission on a professional level. A few months ago I was just a moviegoer headed to the Sundance Film Festival…. I am now a moviegoer who is finding purpose.